So i’m guessing this is a staple in most cupboards, whether it is used often or not, majority of people have it stocked in their kitchen, however, what some people don’t know is that most cinnamon that is bought in the shops is actually fake, it is not “true”cinnamon. The cheaper stuff is called Cassia, this is derived from a different plant than “true” cinnamon is, which is called Ceylon cinnamon. Now this may not seem like a big deal to most people but personally, if im spending money on what I think is cinnamon, then I expect to get the real stuff. There are also a lot of benefits to consuming true cinnamon such as regulation of blood sugar & cholesterol, high antioxidant content and lowering of blood pressure. Furthermore, cassia (fake) cinnamon, is higher in a compound known as coumarin which can be dangerous to health (especially the liver) if consumed in large quantities, now although not many people would regularly consume large doses of either cinnamon, it goes to show that buying the real stuff is worth it even if it is a little bit more expensive. Although if you do consume cassia (fake) cinnamon on a regular basis it’s advised not to go over 1/2 tspn (2g) a day to avoid any side effects. 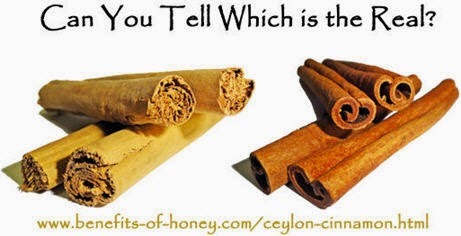 Bottom line, I prefer my food to be as natural as possible and for what I spend my money on to be the real deal, so I encourage you also to look for ceylon cinnamon, which can be easily sourced online from health food sites and via Amazon. I’ve also recently found one in Lidl priced at 69p which is no different from the price of normal spices, so if you can access this one then I encourage it. I also personally prefer its flavour which is milder and sweeter than the cassia type. Biohacking-future inevitability or health fad?